LADYFLOW Full Moon Salt Soak for intention setting and ovulation. LADYFLOW Spiritual Bundle (Sage, Palo Santo, Clear Quartz, & Eucalyptus) to cleanse and empower. 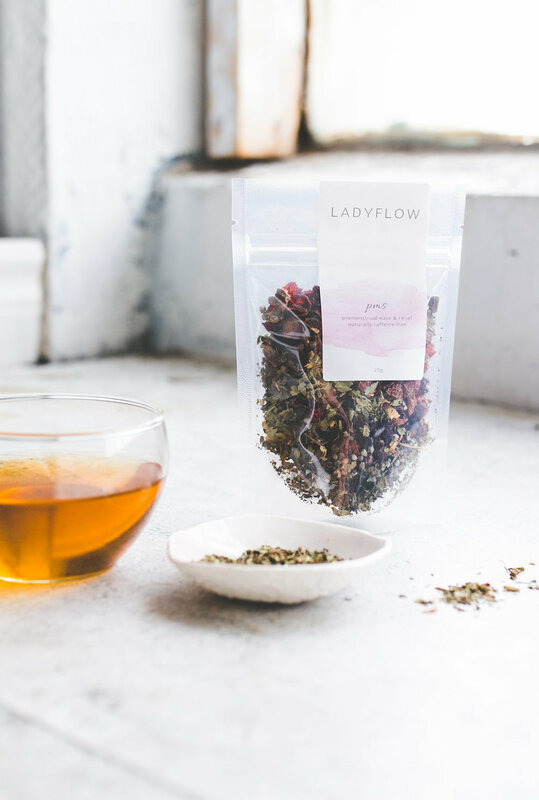 LADYFLOW PMS Tea to support premenstrual ease and help relieve PMS. CANCEL ANYTIME in one-click. No questions asked. We promise you'll love LADYFLOW or your FLOW PLAN is on us! Receive your FLOW PLAN in the mail every month. Never neglect your menstrual cycle again. We promise you’ll feel empowered and attuned to your menstrual cycle. If not, your FLOW PLAN is on us. FLOW PLAN is designed to help you align with your cyclical rhythms. It provides you with all the products you need to support each phase of your menstrual cycle. Our unique blend of LADYFLOW essentials will attune you to your hormonal rhythms and your creative potential. FLOW PLAN autoships every month. Products are automatically delivered on your schedule. No obligation. You can modify or cancel your subscription anytime.